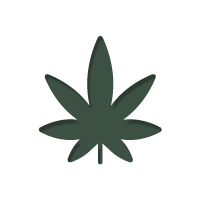 >Blog>Studies: Could Cannabis Help With Diabetes? Science has shown cannabis can help all kinds of illnesses, yet one we don’t hear much about is diabetes. Millions of people across the globe suffer from diabetes, with the modern Western lifestyle causing a rapid increase in diagnoses each year. Fortunately, cannabis could hold the power to help, with research showing positive results. Recent clinical studies have shown how cannabis can reduce the risk of insulin resistance, and how pot smokers are less insulin resistant as a whole. It has also been found that those who used weed regularly were less likely to be obese, reducing the risk of type 2 diabetes. These finding in themselves are great, as they show cannabis can act as a great preventative measure, as well as help those who already suffer. But this is not where cannabis stops helping, no. Research has also shown that cannabis is extremely effective at reducing treatment resistant neuropathic pain – a debilitating condition where high blood sugar damages nerve cells. It was also found that the higher the THC content of the cannabis used, the greater the reduction in perceived neuropathic pain. It could a potential lifeline for those struggling with this condition, and finding themselves resistant to traditional medicines. Lastly, smoking a bit of weed has also shown to help reduce retinopathy, a complication of diabetes that effects 80% of diabetics over the course of their lives. Basically, the immune system reacts to diabetes with an inflammatory response, this causes oxidative stress, which slowly erodes the retina cells within the eyes. It is a condition that is responsible for 12% of all new cases of blindness within the US. Research has shown that the CBD within cannabis significantly reduced the progress of the oxidative stress within the eyes, minimising damage. So, as you can see, although you may not hear about it much in cannabis medical news, scientists are looking into the ways cannabis can help treat and prevent diabetes. So far the results are good, and defiantly warrant more research into the matter. Diabetes is one of the biggest health concerns of modern Western society, so we are sure there is going to be plenty more news on the subject down the line!